Unemployment has left young people in the UK feeling “stressed and depressed,” according to the Prince's Trust Macquarie Youth Index report. One-third of unemployed young people aged 16 to 25 “fall apart” emotionally and tend to feel “isolated” during their mission to find a full-time job, the report said. It reveals more than one in 10 unemployed young people feel “anxious and uncomfortable,” while 46 percent avoid going outside. Thousands of young people in the UK are now “scared to leave their house,” the report claims, as joblessness contributes to a growing mental health crisis. Critics argue the Conservative-led government has “not helped the situation” by slashing mental health funding for children and young people by £50 million since 2010. Luciana Berger, Shadow Public Health Minister for the opposition Labour party, said that the government has “broken its promise” to help young people with mental health problems. The chief executive of the Royal Society for Public Health, Shirley Cramer, says mental health problems such as depression can have a “devastating impact” on the lives of young people. “It could affect relationships, self-confidence and job prospects,” she said. The CEO of the Prince's Trust, Martina Milburn, said thousands of unemployed young people feel like “prisoners in their own homes.” She says without the right support, jobless young people become “socially isolated” while “struggling” with their day-to-day life. “It physically drains you, I'm so moody all of the time because I'm in a poor mental state, as this has never happened to me, being unemployed and depressed,” she added. The study shows that 56 percent of young people report an absence of help in overcoming emotional stress and joblessness. McVey believes a lack of work experience opportunities is the main issue behind this crisis. “We know how important it is for them to get the right start,” she said. McVey claimed, however, that the UK had witnessed “significant falls” in youth unemployment. 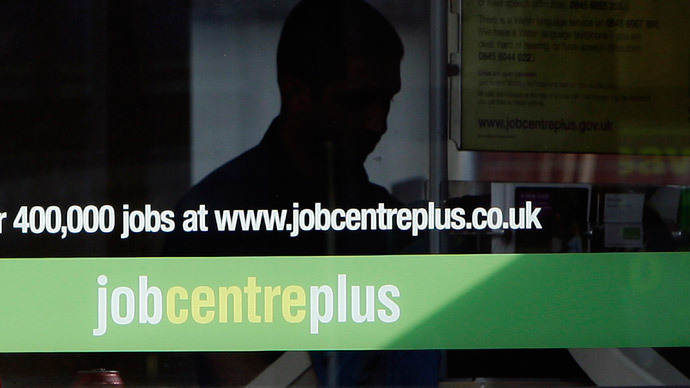 “I'd urge any young person who is struggling with their job hunt to get in touch with Jobcentre Plus,” she added.